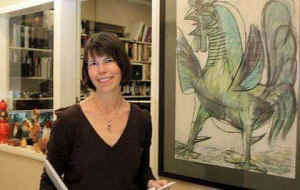 The lead researcher and co-author of the SA article, Carolynn L. Smith, has also published numerous in depth scientific reports of her study of chicken behavior such as The Chicken Challenge: What Contemporary Studies of Fowl Mean for Science and Ethics (August, 2012), and she is also featured in the recent documentary, Thoughtful Birds in Action (watch here by clicking on title). 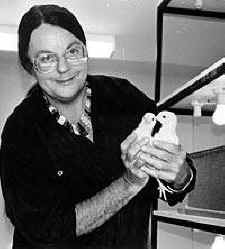 Among the many striking findings of her work, Smith provides multiple examples of how chickens use highly complex forms of “communication using signals that are functionally referential and representational,” a form of communication observed in many primates and some birds, such as ravens and chickadees. One example of this kind of communication is how males entice females with food as a form of courtship that does not immediately lead to mating. This means that females, not only take their time to eavesdrop and evaluate the males’ behavior, but they also must form an opinion about various males — and their reputations for providing food — and then commit these various experiences to memory. Only then does the female express a mating preference. 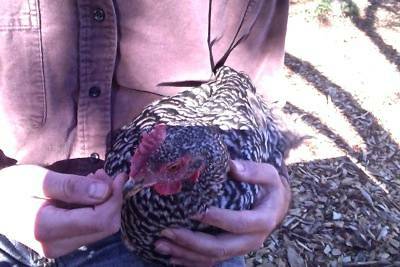 Chickens communicate on many levels, through vocalizing and even body language. 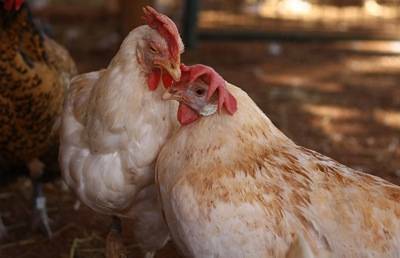 Ethologist Dr. Giorgio Vallortigara of the University of Trento, Italy, is widely recognized as a pioneer in chicken behavior and cognition research, specifically with newly hatched chicks. His work demonstrates how chicks are born with an understanding of basic arithmetic, geometry and physics, advanced problem-solving, and quick learning and retention. 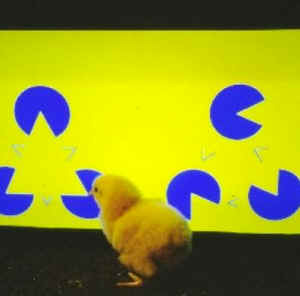 Italian psychologists Rosa Rugani, Lucia Regolin and Vallortigara showed chicks prefer to join groups of more objects (4) over a single object or a smaller set of objects. The chicks in these studies were found to imprint (bond) with these “objects” as if they were their mothers or flock mates. ”The most complex numerical ability is to manipulate numbers by performing simple arithmetic. We know rhesus monkeys can do this and we know that five-day-old chicks can too,” explain these researchers. “Enriched colony cages” for egg laying hens in European farm. 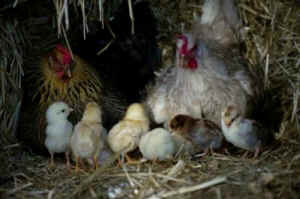 Thi is the new “ethical” standard for hens. 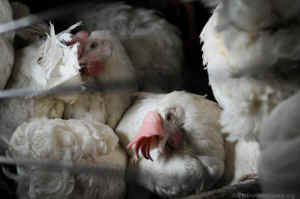 They look as miserable here as the ones stuck in the old cage system. Footnotes, resources and more - see PDF.